It's already tough to be at work when skies are grey and the ground is wet. But when you start feeling those puddles in your work boots, you're definitely not going to enjoy yourself on the job. Feeling all wet? You're not wearing Chippewa Men's 25466 Tan Insulated ... (see full details) (see specifications) #CHP25466. It's already tough to be at work when skies are grey and the ground is wet. But when you start feeling those puddles in your work boots, you're definitely not going to enjoy yourself on the job. Feeling all wet? You're not wearing Chippewa Men's 25466 Tan Insulated Lace-Up Leather Boots on the job. Made with golden tan nubuck leather and briar oiled waterproof leather, the design offers a stunning contrast that puts a little style into your workday. Touchable nubuck feels like suede but offers the durable protection of full-grain, so you have both softness and strength with these Chippewa boots. It's the Chip-A-Tex waterproof booties that will keep you smiling even when skies are grey, the waterproofing power keeping you dry even when everything else on the job site is wet. The soft leather lining in the men's boots has a shearling (genuine lambskin) gussett for decadent comfort. Padded collars ensure a tight but soft fit around your ankles, while Texon 460 waterproof insoles offer foot comfort. These removable insoles in these boots can be cleaned easily to reduce odors. More lamb shearling was used in the insulation, along with tough polypropylene felt, to hold in the heat and protect your feet against dangerous cold weather. Because you can always use an extra hand at work, there are triple-ribbed steel shanks in this men's footwear to reinforce your hardworking arches. You'll have less foot fatigue, especially with the 4 iron rubber midsoles in place. Non-tarnishable, antique brass hardware and heavy duty wax Sta-tied laces help give your feet a secure fit. Goodyear leather Welt construction joins the non-marking Vibram Cascade yellow plug outsoles to the leather, repairable stitching that allows you to replace the rugged soles when you desire. The slip-resisting soles keep you going steady despite puddles, and oil-resistance keeps your soles in good working order in spite of corrosive chemicals. Puddles might be present, but you won't find them inside these Chippewa Men's Tan 25466 Waterproof Insulated Boots. Made in the USA, these slip-resistant boots were made to withstand the weather - just what a working man needs. My profession is a heavy highway grade foreman and I needed a sturdy/supportive boot for climbing/walking on many surfaces in the winter. This boot works great! I wish Chippewa would use Gore-Tex. They are a little heavy but not unbearable. Much better than a floppy winter boot. I would recommend this boot. Mine are USA made I do not know today. But the ones I have are excellent crafted hand made. I have had two pairs of these boots over the last 40 or so years. I need a new pair because they are too small now ( my feet grew larger). I originally bought them for hiking carrying a 100 lb. pack for skiing at Tuckerman's Ravine, NH. They didn't need to be broken in and were always comfortable. I have used them for riding, working outside, hiking, chain sawing, all weather. The heels are a little high for walking on paved ground but they are great in the snow and dirt and rocks. Great support, Great traction, Great protection for riding. It looks like the new models have lower heels and are waterproof! I am saving up. I owned a pair of these boots back in the 80s,they lasted me about 10 years,thought they had quit making them.Finnally found a site that still carries them.If you are looking for a pair of boots that will last a long time this is it.I worked on a surface coal mine and wore them in mud and oil; and grease,did not seem to p[hase them. Besty boots i have owned.Plan on getting another pair as soon as i can. These are my favorite work boots. I can wear them for any job. I buy a pair of theses boots every 2-3 years and continue to go back to them. They are great boots and always hold up well. 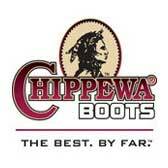 I will continue to buy these, you cant beat the quality of Chippewa boots. They can with stand the abuse I put them through everyday. I would recommend these to anyone. They are a bit heavy but you get used to them. Chippewa Boots: Men's 25466 Waterproof Insulated Tan Boots is being added to your cart.